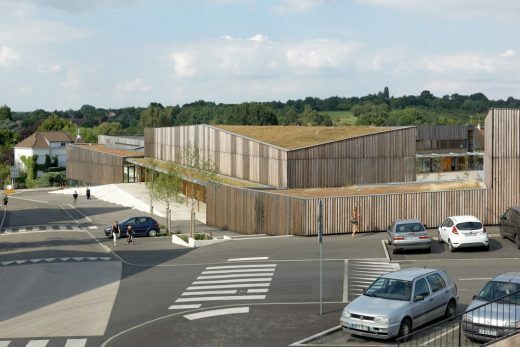 The Albert Camus School center is located 200 km southwest of Paris nearby the town Coulaines. 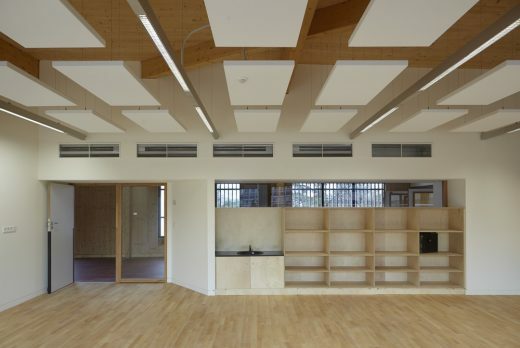 The building projects include a primary school with 8 classrooms, a nursery with day care, a kindergarten, a gymnastic and community hall as well as a library and a school restaurant. 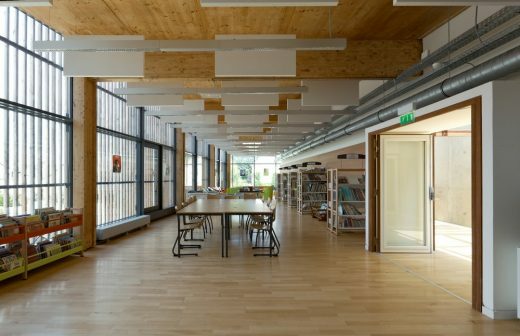 Dietmar Feichtinger architects intended a school that serves not only the transmission of knowledge and values. 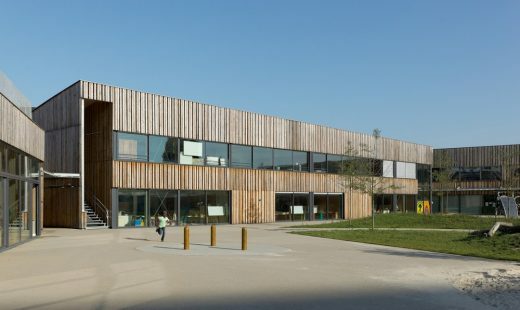 They also pursued the idea of creating a place that represents a new reference point in the urban fabric; a place where people meet – where they can feel safe and secure – a school center as a new location for all. The site is located in close proximity to the city center in a heterogeneous structure with multi-storey social housing blocks and single family homes. 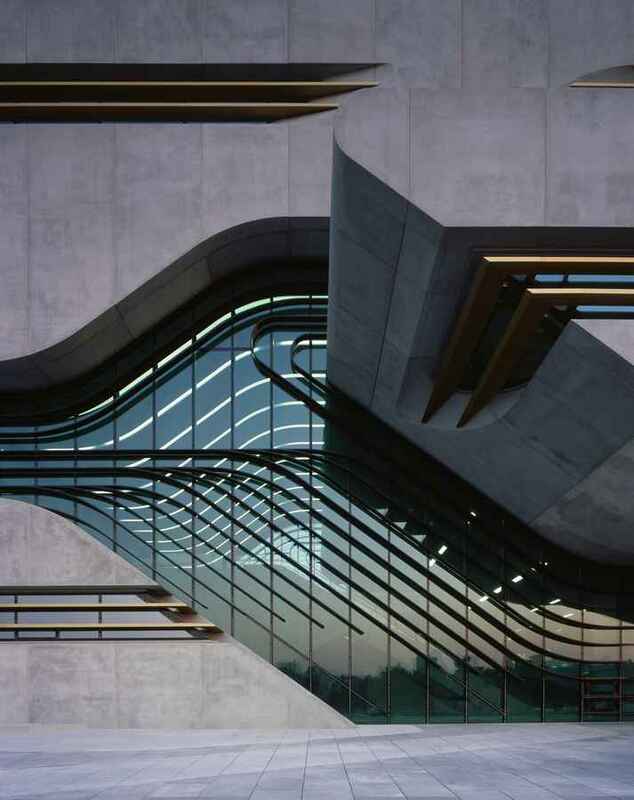 This structural contrast reflects the ethnic diversity of the population who wants to meet the new academic center as a social link. 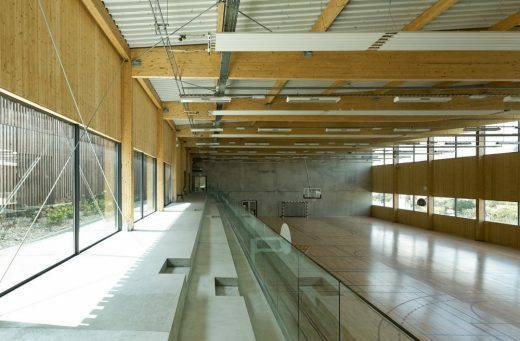 The presence of the wooden facade, generous landscaping and the minerality of the new courts become elements generating envy gathering, conviviality and sharing. A large part of the courtyard has been transformed into a garden providing vegetables and herbs for the school restaurant. 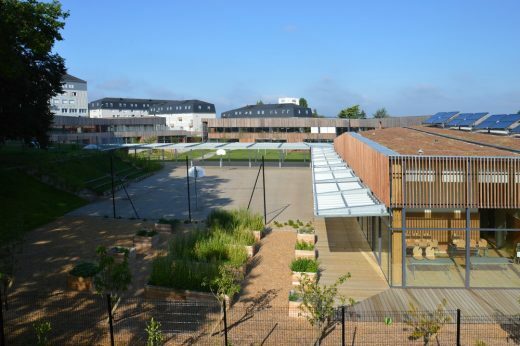 The Primary school, kindergarten, nursery and day care form a narrow annular structure which surrounds a large courtyard. 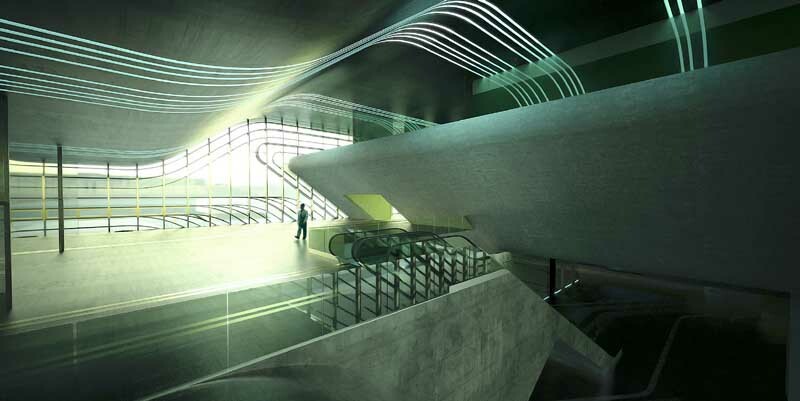 This landscape designed space offers children of all ages various forms of activity and stay. 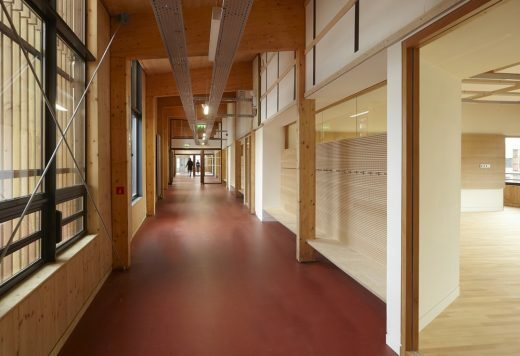 All classrooms and group rooms open towards the courtyard. 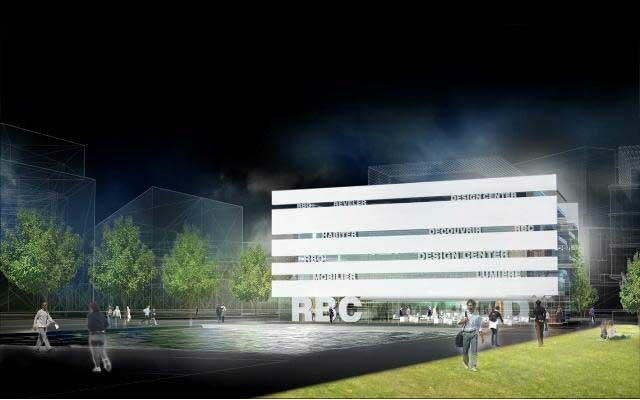 The recreation center in the South comprises three activity rooms (which can act as small auditoriums thanks to the bleachers) and various workshops for school activities. 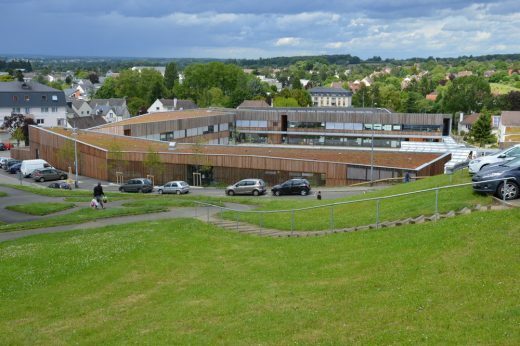 The center is directly accessible from the rue de Mouscou but also via the school and the court. 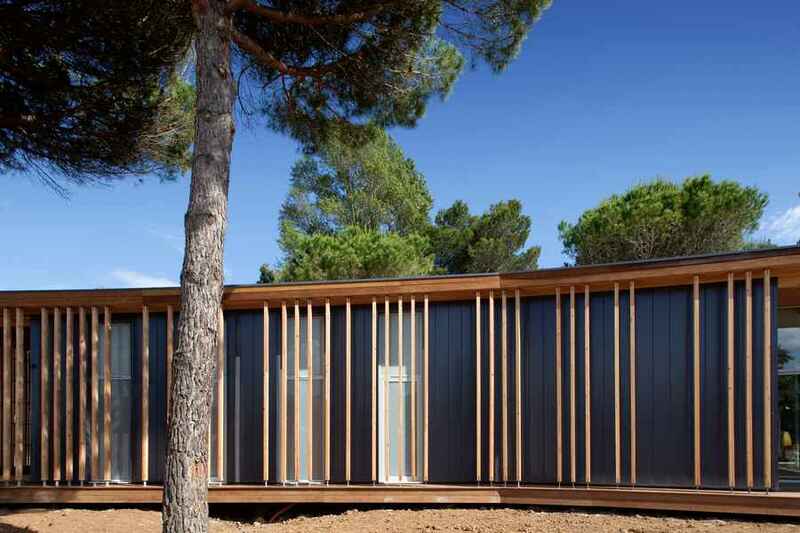 Larch wood in exterior and interior contributes to a feeling of harmony and authenticity in accordance with the landscaping, which is also supported by the green roofs of the plant. The new buildings take advantage of the topography of the land and adapt to this. 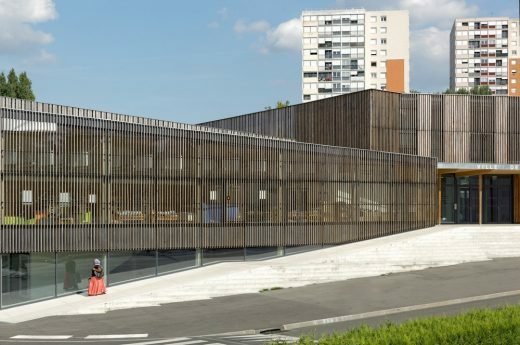 Facades from untreated larch wood slats give the ensemble its own specific identity in the urban space.